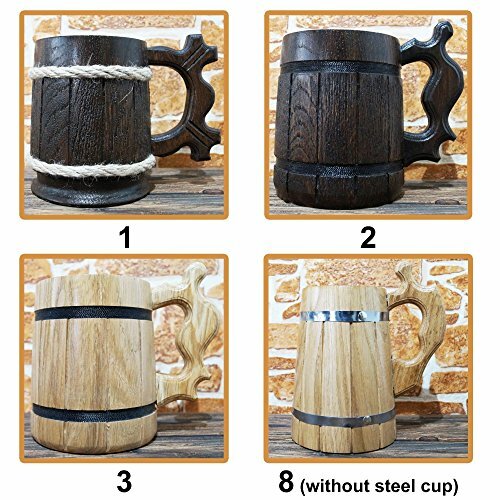 A Wooden Beer Mug make an ideal gift, whatever the occasion! Give it as a gift to mark a birthday, an anniversary, to say thank you, or to say a job well-done! It's the perfect gift for the beer lover! 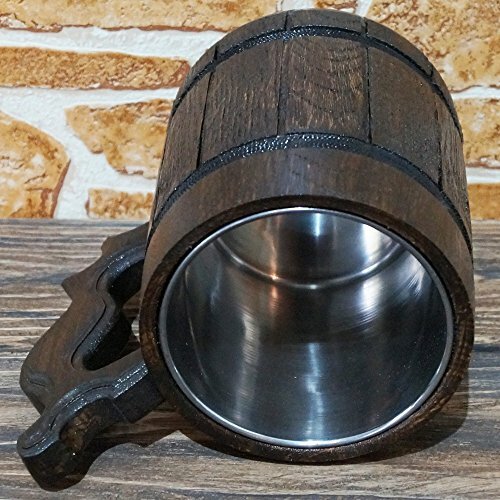 This Wooden Beer Mug is made to our high quality standards and includes a stainless steel inner coating, that will keep your beer colder, for longer. We can personalize your Wooden Beer Mug with an individual message, initials or corporate logo. Just let us know when you're planning your order. 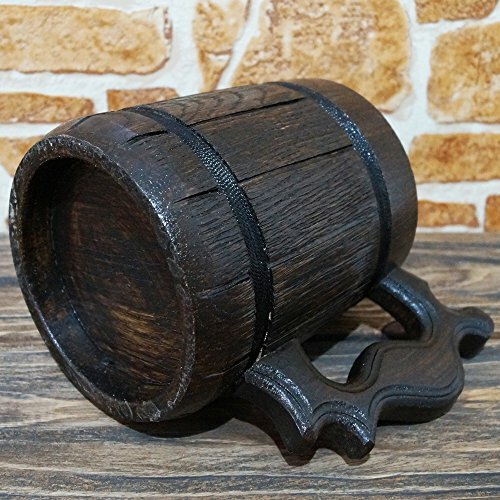 Wooden Beer Mug by WILDMUGS is a great gift for Groomsmen! We can add personalized Engraving on the copper label. - Material: natural oak-tree wood. - The insert of the mug - stainless steel (except model #8). - The label is made of copper. - Perfect for beer, water and other drinks. - The amount of liquid - 22 ounces. - The color of the wood can a little bit differ in some way from the shown in the picture. - Please, select your quantity and model of beer mug. - To add personalized engraving enter one of the lines in the options. * Please check your names and dates TWICE. We don't accept returns if you made mistake. - If you buy from 5 to 9 mugs your discount is 7% for order. 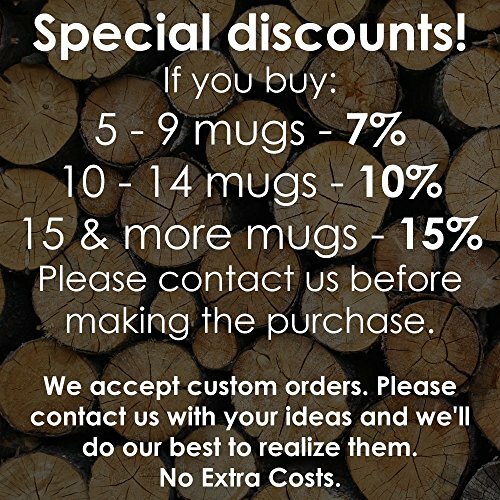 - If you buy from 10 to 14 mugs your discount is 10% for order. - If you buy 15 or more mugs your discount is 15% for order. - It's possible to engrave anything: picture you like, words, names, dates. - You can choose any design and fonts. - Just contact us first. - I need 3-5 working days to produce the mugs. - The average shipping time is 7 - 21 days. It depends on your location and customs work. - Tracking number is always provided. 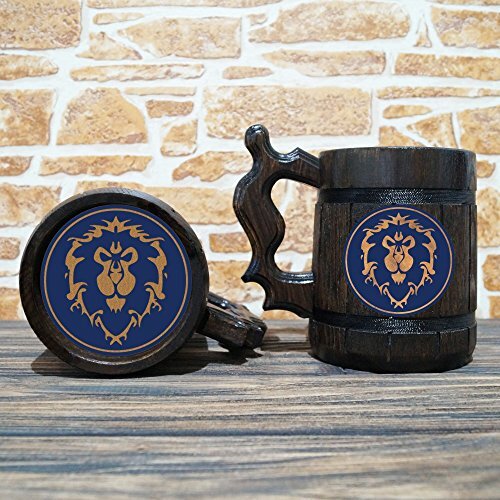 Thank you for visiting WildMugs shop! 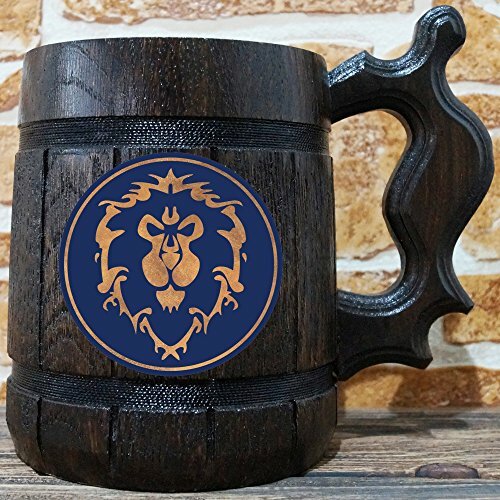 If you have any questions about this product by WildMugs, contact us by completing and submitting the form below. If you are looking for a specif part number, please include it with your message.